The OCZ technologies were adopted by the Toshiba earlier this year, and soon after this, they rolled out several high-end solid-state drives. That said, HK3R is one of the high-end SSD that’s not meant for average consumers as it feeds the enterprise needs. This fastest SSD also comes with some excellent data protection mechanisms. The HK3R features onboard capacitors and firmware protections designed to make sure that the data is never lost, even in the power failure. This blistering performance and the advanced protection has earned this SSD a huge reputation in the crowd of enterprise SSDs. This SSD is available in 120GB, 240GB and 480GB capacities. Let’s discuss this Toshiba HK3R SSD review in details. The most important concern enterprise users have the responsibility of drive-in power failure, and make sure the whether the NAND flash storage is susceptible to data corruption or not. Keeping this concern in priority, Toshiba intorduced two kind of power protection into the drive-Power Failure Management (PFM) and Power Loss Protection (PLP). PFM deals with Toshiba’s firmware-level response to power loss, where the PLP describes the additional supercapacitors Toshiba includes inside the drive itself. The beauty of this feature allows the SSD to detect when the power drops at a certain level, the SSD automatically transfers power draw to the supercapacitors on the SSD itself. Though the power keeps the drive juicy for few seconds, but it’s enough for the drive to copy the data out of onboard DRAM buffer and safely to the NAND. Meanwhile, the PFM firmware keeps an extra copy of the page management table (this helps identify the location where operating system stores it’s mapping of virtual addresses to physical addresses) on two physically different NAND chips to make sure it remains in pristine condition. All the content of every data write are retains during the progess-meaning that if write fails halfway through due to power loss, the original information is take care in a backup location on the drive. Previous states can therefore be restored automatically. In a nutshell, this SSD keeps track of the data that resides in DRAM is always written back to the SSD within two seconds, which explains that window for a power failure to impact SSD reliability is smaller than the maximum amount of time the supercapacitors can run the drive. This SSD offers a huge pool of additional storage as a buffer against data failure, the Toshiba drive is more modest-Seagate’s 400GB SSD comes with 512GB of NAND flash while the HK3R 480GB comes with 512GB of NAND Flash. The 32GB of NAND over-positioning on the Toshiba SSD is common, but in terms of longevity, the Seagate 600 Pro does cross everyone else. As NAND loses it’s life, unused blocks from the over-provisioned section are cycles in to replace the dead older blocks. The more NAND replacement happens the more NAND failures it can bear having no degradation on the performance or the capacity of the drive. Overall, This SSD is certainly the best-performing enterprise SSD. But for heavy workload the best suited drive is Seagate 600 Pro, but HK3R generaly overmatches in terms of raw performance. Both of these are expensive drives but the Toshiba offers real-value for your money. It’s stellar performance and comprehensive data protection makes it an excellent all-round solution. 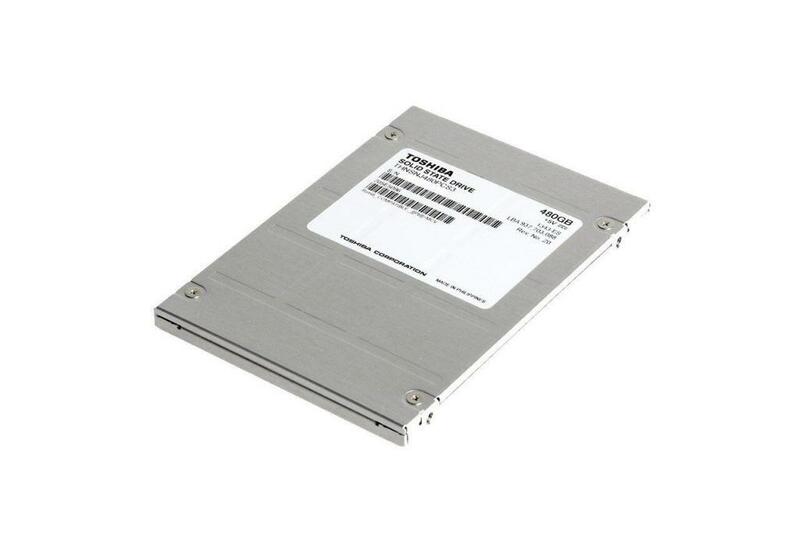 The Toshiba HK3R is an enterprise-level high-end solid-state drive (SSD). It’s strong performance and data protection is worth the money you spend on it.